The band itself was at its creative peak. In its earlier Johnny and The Self Abusers incarnation, there was a powerful, post punk sensibility allied to obvious art school influence, but Jim Kerr was always too busy looking askance at what others were doing. 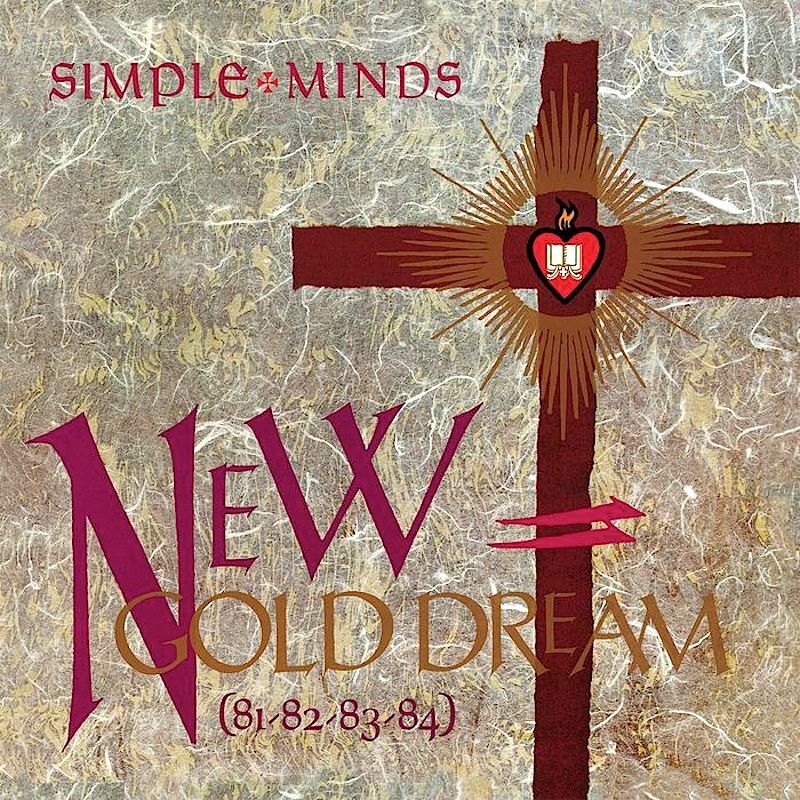 By the time Simple Minds got into the studio to do New Gold Dream however, the band had finally acquired its own centre of gravity – and at last began to force the world to revolve around it, just a little bit. Musically, it was smooth, spacious, subtle, warm, moody, lush and layered – marking a wholesale move away from the thrashy power pop that had dominated to the past few years, towards a far slicker and more sophisticated sound relying heavily on sweet sounding analogue synthesisers. But unlike many of its chart contemporaries like Depeche Mode or Blancmange, it wasn’t an electro album. It featured fairly traditional rock drumming allied to more funk-influenced bass playing, set behind a wall of beautiful swirling keyboards and dreamy vocals. This combination was unique, sitting directly between the more processed sound of ABC and the flamboyant pop of The Associates. And like the latter, there was just a touch of Bowie and Roxy thrown in too. Released in the darkest days of the Cold War in a gloomy, recession-hit Britain, New Gold Dream felt like a ray of sunshine, positing that things could get better. The nineteen seventies was a time of strife, recession and division – and people were hoping that the eighties would deliver a brighter future. This album, along with a handful other others such as The Human League’s Dare, caught this sense brilliantly. It’s a pop music manifesto for better times. Perhaps this is what defines it as one of the greatest New Romantic moments, for it favours hope over the world-weary cynicism of the post-punk era that preceded it. A beautiful, melodic and beguiling piece of work, it is British pop at its best.